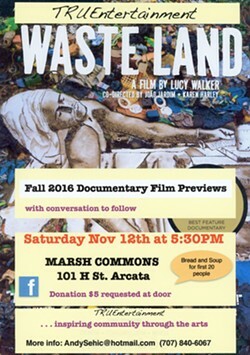 TRUEntertainment presents: Fall 2016 Documentary Film Previews WASTELAND documentary is a film about recycling, but it's far more intriguing than the average eco-documentary. 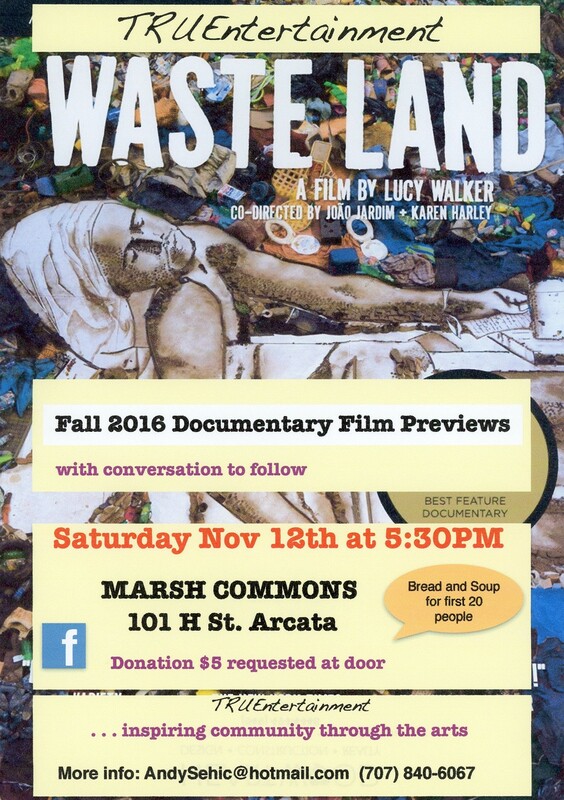 The subject is Brazilian garbage pickers and an artist vision that is beyond inspiring.. After the film we will engage in a conversation,--- about things that matter. Be prepared to be inspired, uplifted and be the change you want to see in the world, through art and activism. Soup and bread for first 20 people. $5 requested donation.